Happy Monday~I hope you had a great weekend! Can you believe it's February already? Wow, I seriously do not know where the time goes?! 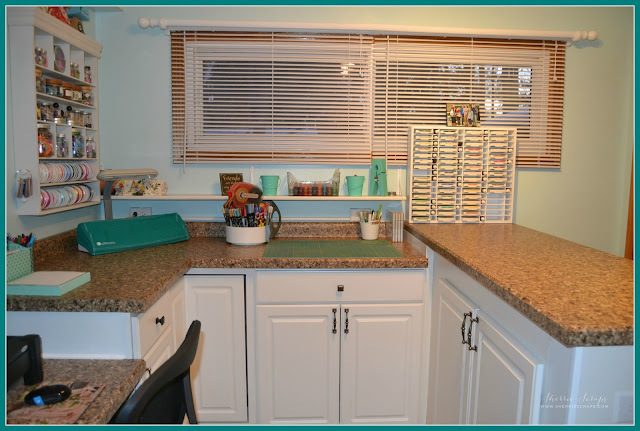 My old craft room was a similar design with the exception of the higher counter. I did gain a little extra room in the cabinets on the high counter and in the corners of the room. 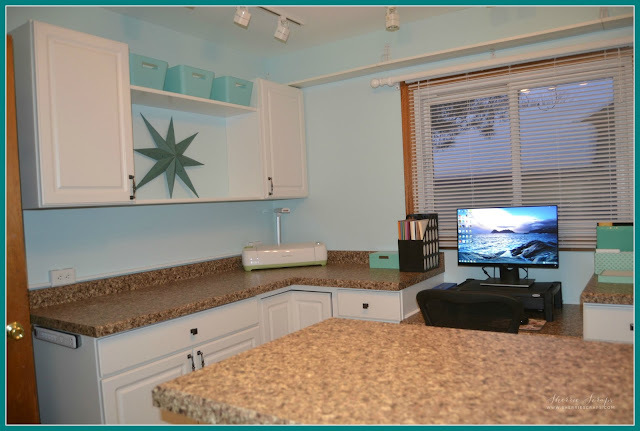 The opposite side of the high counter also has room for a high stool/drafting chair if needed for Arya (Granddaughter) when she comes to craft. We added additional lighting as well as a spot for taking photos of my finished projects. My closet had additional shelving added to make this area more functional as well. I have done a LOT of purging, cleaning and re-organizing. I am happy to say I feel really good about my craft space. I do have a little more labeling of bins to do. The top shelving about window is where my Cricut cartridge boxes will be stored. I have the booklets and cartridges stored, labeled in plastic snap bins and organized alphabetically for easy access. I have some decorating to finish up along with a magnetic/chalk board I'd like to make for a empty wall I have when first entering into the room. Other than that, I am excited to start creating again! Oh my Gosh! It turned out so AWESOME! I just LOVE the colors and the design! You have given me so many ideas my friend! Thank you for sharing, I just LOVE it!!! Hope you had a great weekend! We spent some time in Oregon this weekend and it was cold :) But such a nice time. I'm still trying to get my craft room back together, Still waiting on cabinets, I guess we may not put the wall cabinets in for a little bit. The new room has to double as a conference room for the hubs. He does video calls so we really needed a space for him too. Always looking for great storage ideas! Thank you my friend for sharing the most fabulous craft room! Looks wonderful Sherrie! We are building a new house and I am going to be doubling my craft space!! I am so excited so thanks for some great ideas! 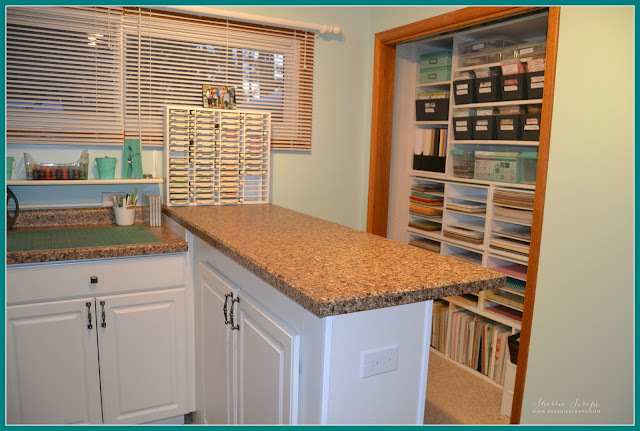 Of all the craft room tours I've seen - yours is my favorite! It's so practical! And because of the small space, one would have to purge on a regular basis. Thanks for sharing! Oh wow, Sherrie, it looks amazing!! 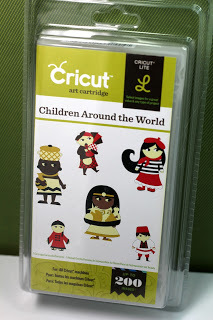 I want to come craft with you in your beautiful space!! I love the counter tops!! You did such a fabulous job with the makeover!! 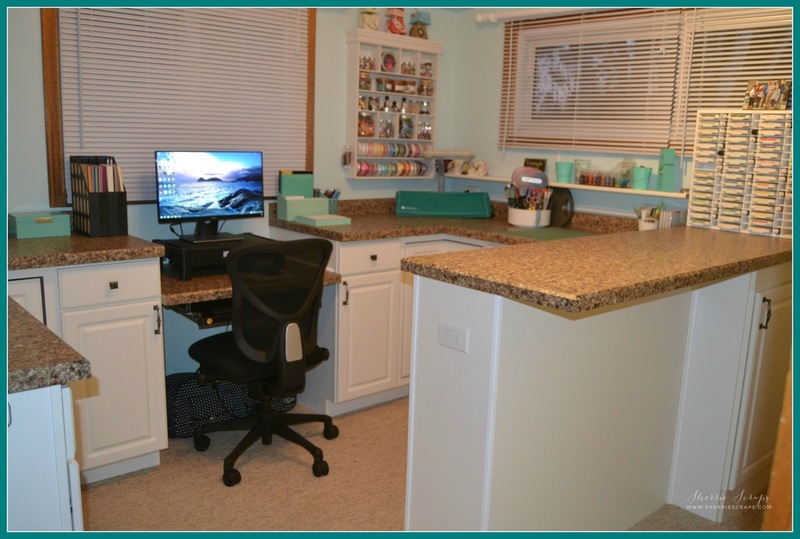 Your craft room is magazine-quality gorgeous!! Sherrie, your room is just gorgeous!! Love the colors and the granite counter tops!! Love what you did with the closet too!! I have a small space too, and this give me lots of ideas!! What a wonderful place to be creative! 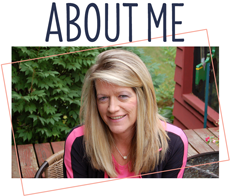 Thanks for sharing this beautiful room with us, Sherrie! Sherrie your room is fabulous! Everything looks so bright and tidy and perfect. I love the neutral colors with that pop of blue/green. This is so pretty and I know you are going to enjoy working in here so much. Enjoy your beautiful new space my friend! Ohhhhhhhhhh it looks AMAZING! I LOVE LOVE LOVE it!! All that creative space!! SO FUN!!!!!!!!!!!!!!!!!!!!!! Wow, your room looks so amazing! I love the counters, they are so beautiful and those cabinets too! Great organization of your closet too! 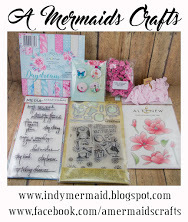 I love looking at crafty spaces, they are always so inspiring, thanks so much for sharing! Now THAT's a craftroom! Wowzers! I love it! So jealous! Those cabinets are a dream! WOW Sherrie!! What a awesome craftroom!!! Have a great day. I adore your craftroom, it's so crisp and clean, I love it! Omg...I am so jealous. Beautiful, beautiful. So happy for you. To me it looks complete. Looks amazing Sherrie! 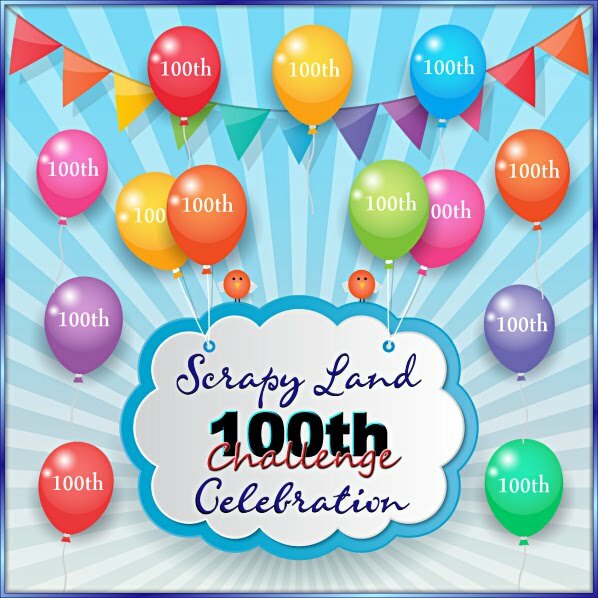 It looks like a wonderful place to create and have fun! Thanks for sharing! 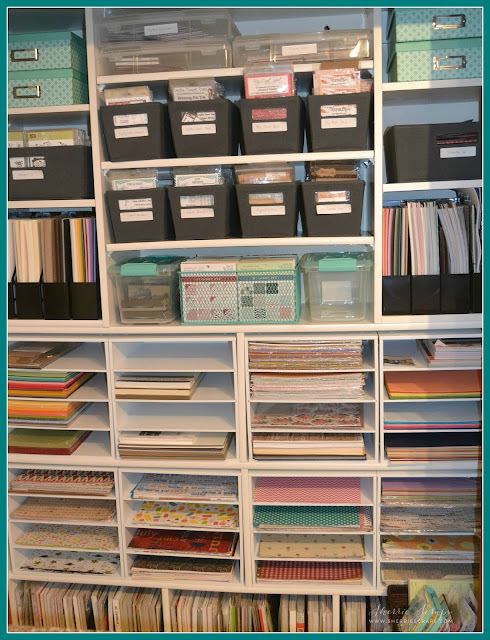 This is a dream craft room!!! It's gorgeous !!! The colors the furniture are beautiful !! Oh WOW..... this craft space is GORGEOUS!!!! I want to come play in your room with you!!!! I love your countertops! Beautiful ... so beautiful.... and I love your built in computer desk between the counters... that is so cool.... your closet is amazing! 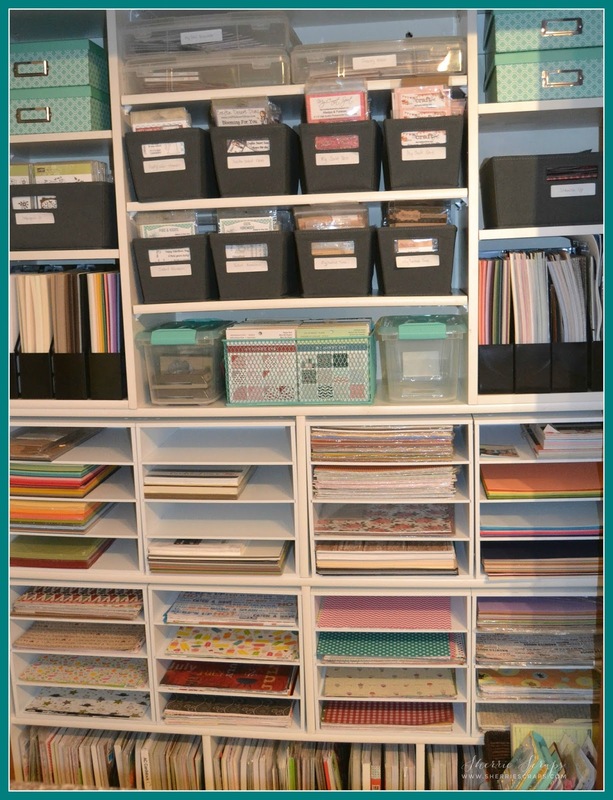 I love how organized you are and how your papers are in those slots... just a beautiful room and I am so happy you shared some photos!!!! Happy Creating my friend!! !